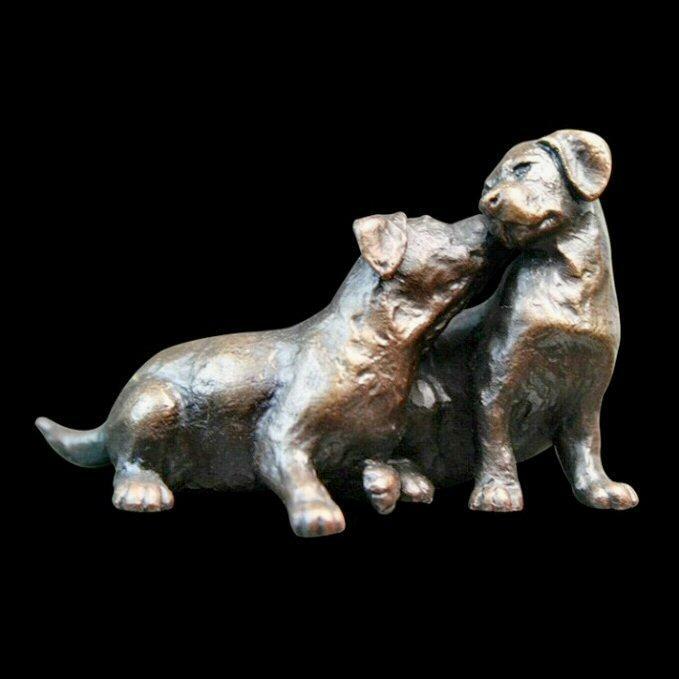 Bronze sculpture of a pair of Labrador puppies by renowned animal sculptor Michael Simpson. Originally bred as a working dog, Labradors are one of the country's most popular pets. This cute pair of beautifully detailed, limited edition, puppies in solid bronze would be the perfect gift for any admirer of these lovable dogs.